“Inspired” by Charlottes post about her hairbrush thats so battered but she just can’t get rid of it, I thought about bits of clothing that I’ve not been able to bin. That skirt that’s got a button missing and a split up the back thats gone so far its a tad indecent. The blouse that gapes across my chest. The tights that have a hole in the toe, but I always forget to throw away until when I put them on and curse. I looked down at my feet and saw these. They’re a pair of New Look heels that I bought years ago – in fact, I think my sister bought them and then offloaded them onto me because they were too uncomfortable for her. They probably only cost Ã‚Â£15, but have managed to last a ridiculously long time! I know I had them in 2007, because I used to wear them around the office in Crest. On the left instep, instead of red paint, I have an autograph from my lovely friend Jo. On the right instep. there was an eye but it seems to have turned into a smudge. The right foot’s heel has come off, which is why I have to throw them out. 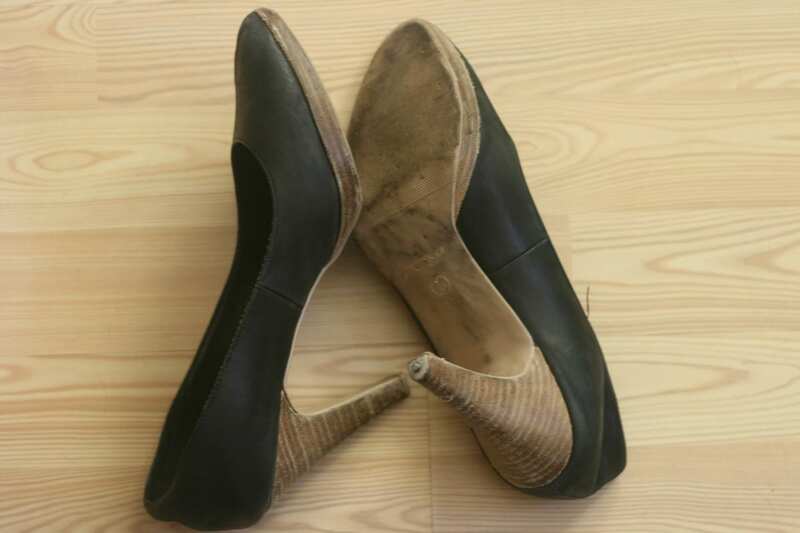 It would be silly to get these repaired, because the leather is collapsing at the back of the heel and is misshapen around the toes, and there are so many scuff marks on the heels, its worn down to the plastic. But I love them! So, what bits of clothing do you still wear, even though you know they should have been chucked out a long time ago? Oddly enough, today I finally got rid of a pair of New Look heels that I’ve had for 10 years. I hardly ever wear them and they were still in good nick except for the dogtooth marks on the heels! 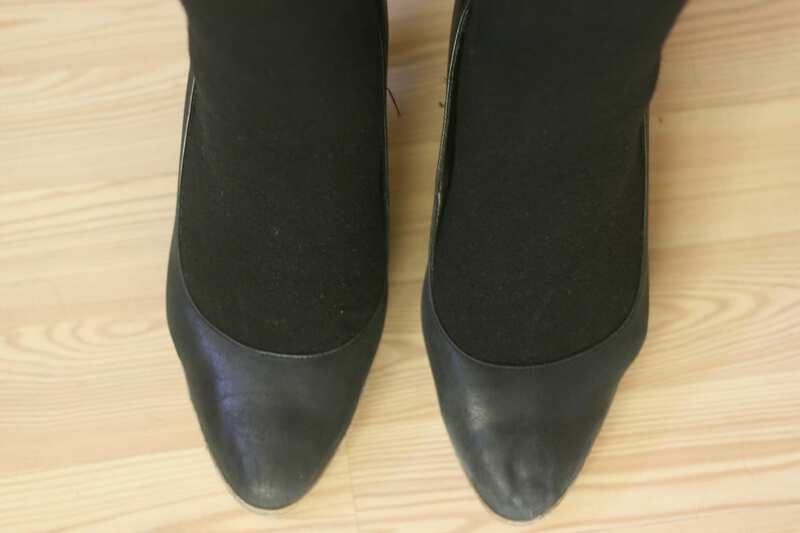 Its crazy, those New Look shoes lasted me years but I’ve got a pair on today which I’ve worn maybe 10 times in a few months, and the heels are already going. I only paid Ã‚Â£5 for them though, so I hate having to pay Ã‚Â£10 to get them re-heeled!